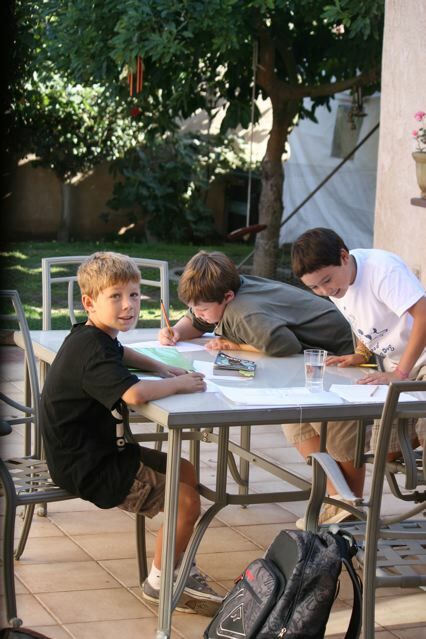 Before the play begins, homework ends….these three worked pretty darn hard to finish things quick so they could go ride bikes. They had a great time! Joe was at a friends house, so was Tony.